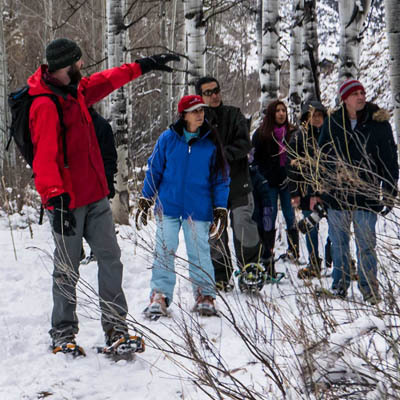 Join a Walking Mountains Naturalist for a gentle, educational hike through aspen forests and streamside communities. 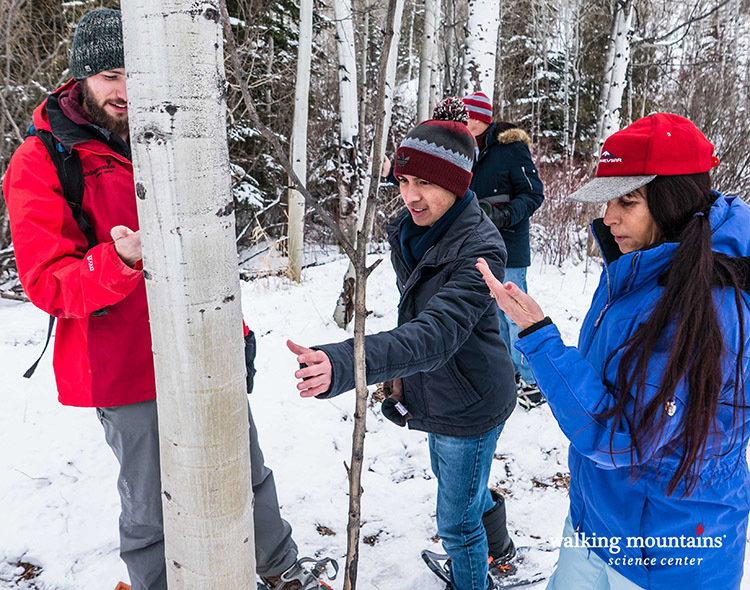 Learn about the ecology and animal adaptations of this mountain environment. 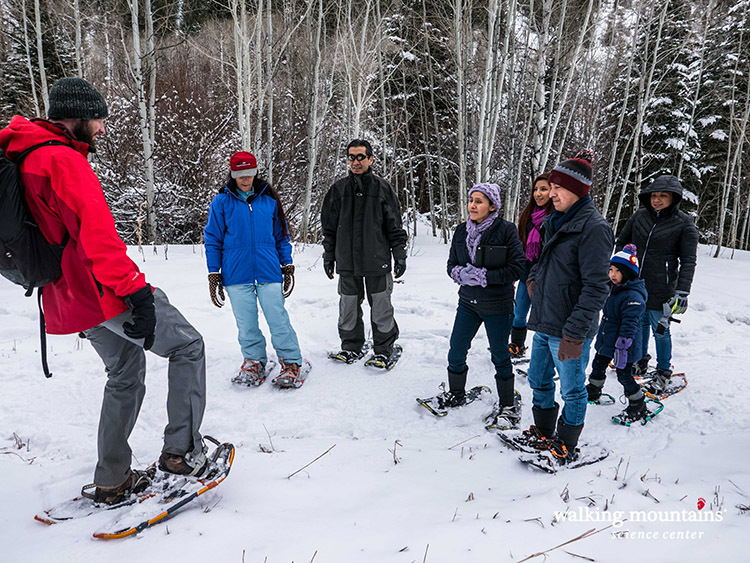 Walks will be conducted on snowshoes as necessary depending on snow levels. 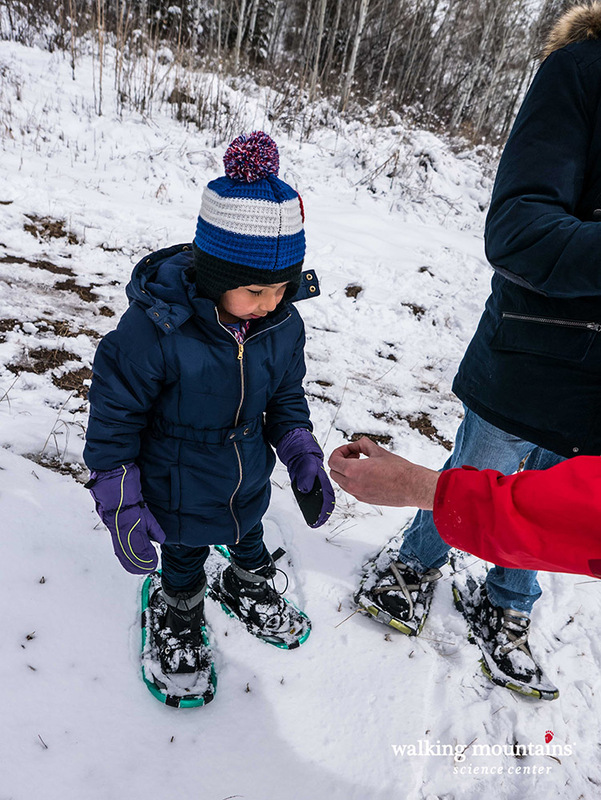 Please wear proper footwear and clothing for the outdoors in winter. 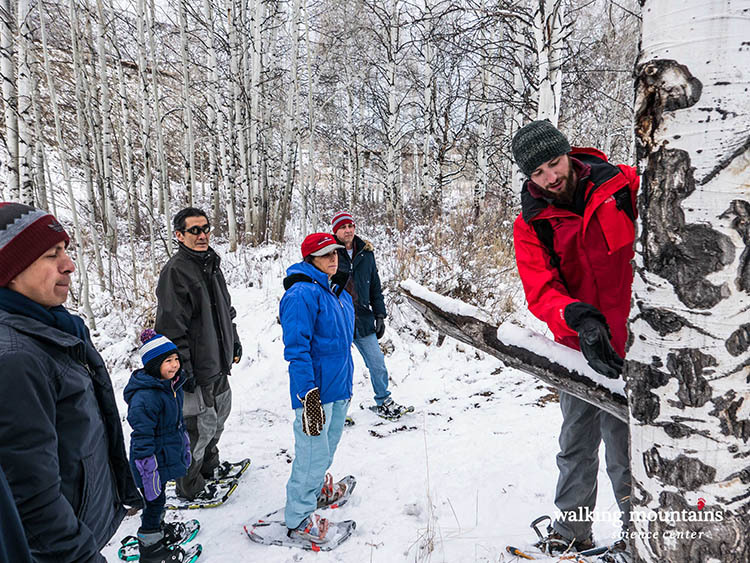 Snowshoes provided when necessary. All ages, FREE. No program Wednesday, April 10th. We apologize for any inconvenience. Questions? Give us a call at 970.827.9725. 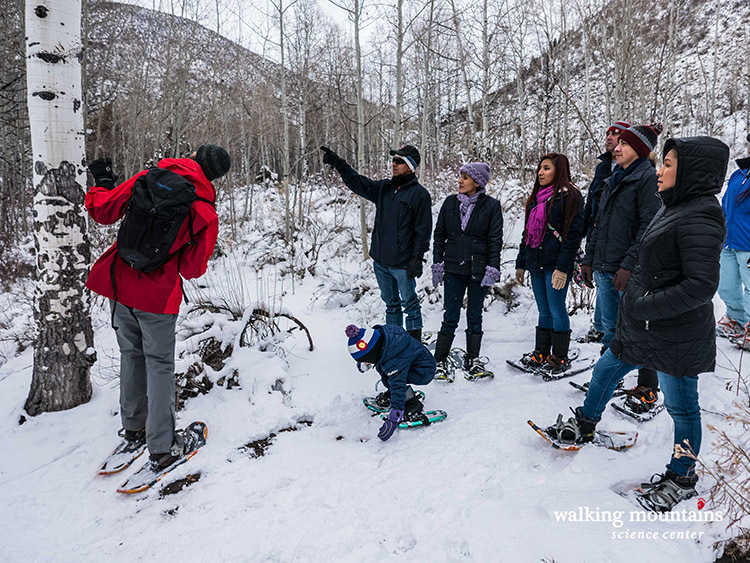 Looking for an immersive snowshoe experience in the White River National Forest? 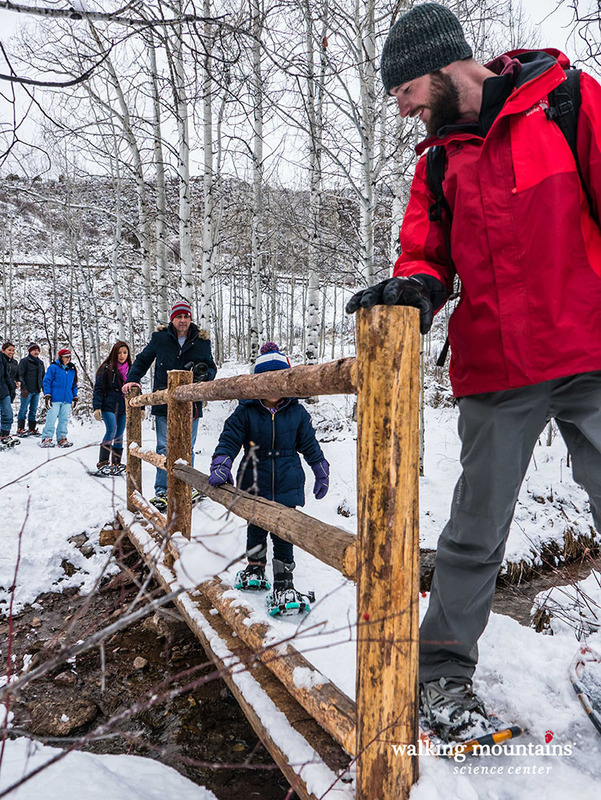 Click here to learn about our half-day backcountry snowshoe hikes.